Hey Guys! You've landed on New Jersey USA Did you know the factory ships out free all over America twice everyday. See USA Home Page here. 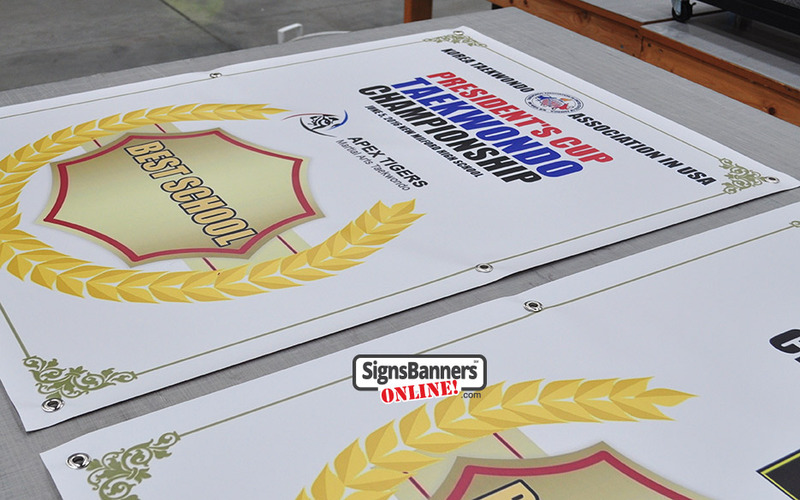 Signs Banners Online provides factory-direct, wholesale banner and sign services faster, easier and cheaper than ever before, helping New Jersey and the Tri State Area graphic designers improve customer retention and their bottom line. Customer retention is vital to the success of any shores freelance designer or small graphics design firm whether they're in Manhattan or in Jersey. In fact, it's critical to any business because repeat customers spend more money per transaction, cost less money thanks to lower marketing costs and have a higher life-time value. According to Forrester Research, it costs 5 times more to acquire a new customer than it does to keep a current one. In terms of profits, the figures vary widely but, in general, if you lower your client churn rate by 5%, you can expect to see an improvement between 25% and 125% in your profitability. So, you can see how your bottom line would improve just by lowering costs. But if you take things one step further and turn repeat customers into loyal customers, then you've pretty much got it made. A loyal customer - one that is really happy with the service they've been getting from you - will become your advocate, recommending you to their friends, acquaintances and business partners, thereby generating more work for you. No other type of marketing is as powerful as word-of-mouth referrals. So, how do you improve customer retention, reduce churn rate and turn your repeat customers into loyal customers? The answer is simple: always exceed their expectations. Unfortunately, the implementation isn't always that easy, especially when you have to rely on others. As a freelancer or small firm, you have control over what you do, so you can take measures and implement strategies to make sure you're constantly exceeding customer expectations. But what do you do when you have to work with an outside supplier to fulfill your client's order, especially if that supplier is less than reliable? You're pretty much sunk because you have no control over your supplier. And clients don't want excuses. They want results and they want to have a good experience while working with you. Mess that up and you can wave bye-bye to that client. 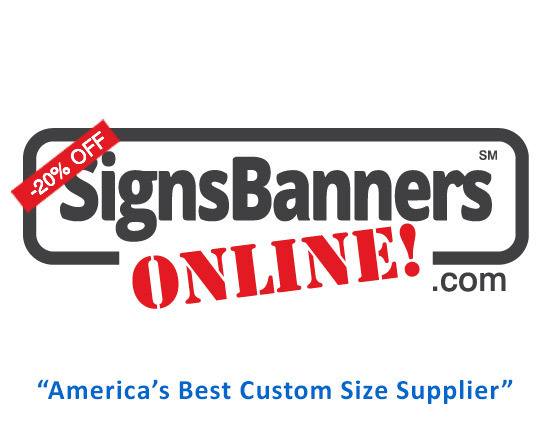 With Signs Banners Online you'll never have to worry about looking bad in front of your customers. They provide you with the fastest and easiest wholesale banner and sign manufacturing services you'll ever find. And it doesn't hurt that our prices are the most competitive on the market. With Signs Banners Online as your partner, you'll always be able to exceed your customers' expectations if their in Trenton, Norwood banner, Princeton or in Philly. Signs Banners Online provides factory direct services to anyone who needs top quality, custom banners and signs at rock-bottom prices. 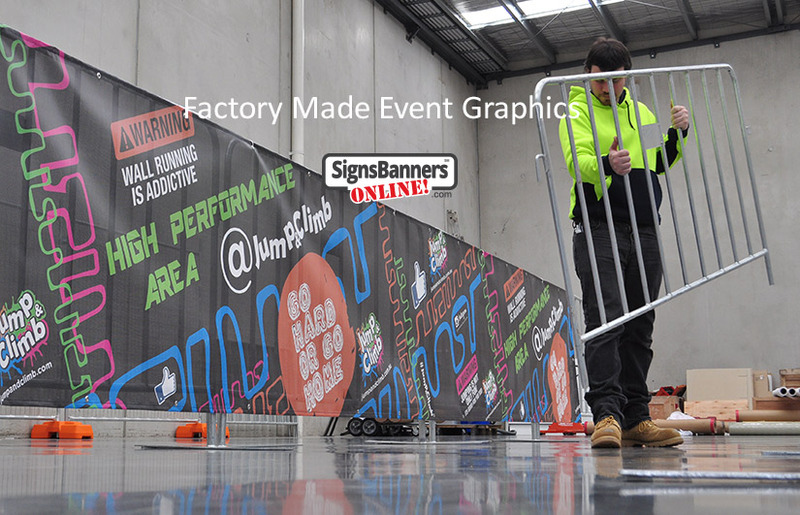 No matter how large or small the job, Signs Banners Online will always offer better prices than the competition, and, along with the top-of-the-line equipment and materials they use, you are guaranteed the best quality product possible, enabling you to delight your customers and increase retention rates significantly. Not sure if working with them is right for you? Don't worry, they understand. They are designers too and they know how difficult it is to find a good supplier to work with. That's precisely why they founded the Signs Banners Online factory and online ordering service. They wanted to offer designers a reliable partner they can work with; someone they know they can always count on, which is essential to improving customer retention rates and building loyalty. Our mission is to help freelance designers and small design firms build successful and sustainable businesses and knowing exactly how important customer retention and loyalty is to achieve that. I recommend them as a five star supplier"
How does Signs Banners Online delight clients? By being your partner and striving to be an integral part of your success, rather than just a simple supplier. How does Signs Banners Online exceed expectations? 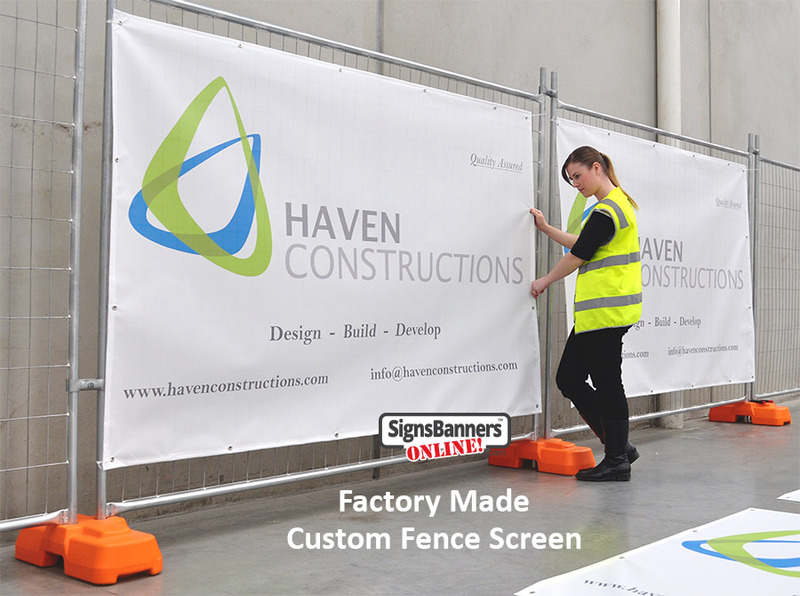 With Signs Banners Online, you'll dont have to worry about a supplier throwing a wrench in your plans and making it practically impossible to earn your customers' loyalty. Just as you know you can count on us to deliver, so too will your customers learn that you will always exceed their expectations by providing them with amazing quality and reliable services from start to finish. Newark Enjoy Signs Banners Online's Services Risk-Free! Just like you, focus is on achieving customer loyalty, which means offering a delightful experience. We are also aware of how many companies make promises they never keep, so we don't expect you to take word for it, then try out all the available services you can do so. They use the highly reputable PayPal as the payment processor, which means you and your money are secured to the highest level. The fact that in March PayPal featured Signs Banners Online on their main page should give you a good idea, though, of how good a business partner they are because PayPal doesn't feature just anyone. So, you get to work with a reliable partner that provides excellent quality signs and banners faster and easier than anything you've experienced thus far, at amazingly competitive prices, allowing you to increase customer retention rates, build customer loyalty and improve your profitability. All without any risk involved. No wonder so many tri state graphic designers are turning to Signs Banners Online. Are you going to be the one left behind or will you jump on the train of opportunity and start changing your life for the better? If you have questions or want to learn more about it and the services, They have a whole team of professional designers who can help you with anything you need.